Police vehicles line the street Wednesday, June 15, 2016, outside of the Hamilton County Jail. 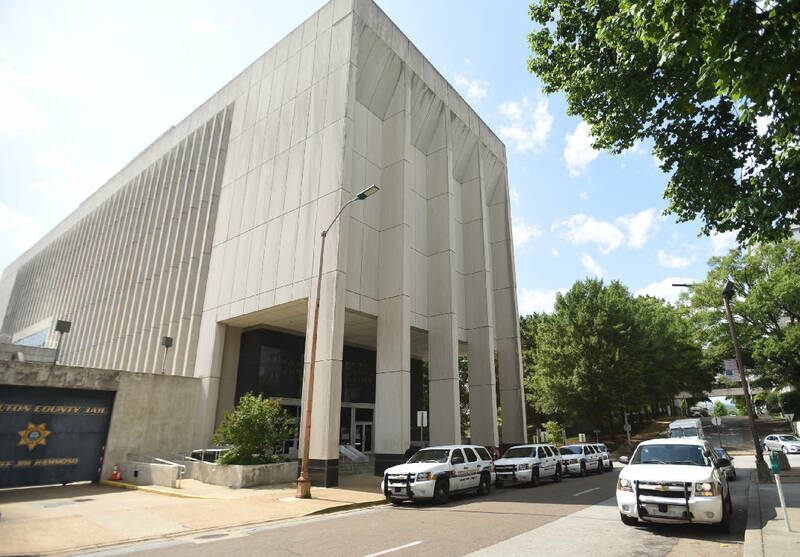 A presentation given Wednesday morning by a county task force to the Hamilton County Commission about future jail needs confirmed the days of Chattanooga's downtown jail are numbered. Public officials and the leadership of the Hamilton County Sheriff's Office have been working to solve a growing list of problems faced by the Walnut Street facility, including overcrowding, inadequate safety measures and daunting manpower requirements. Hamilton County Mayor Jim Coppinger is confident the results of the study outline an effective, long-term solution to those problems — and the answer lies in the Silverdale workhouse. "The good news about this really deep dive into our corrections operation is it gives us a lot of ideas and things we need to look at," Coppinger said. "We're still trying to get there, but we're not totally there yet." As repairs and additions to the downtown facility have become prohibitively expensive, a plan has emerged to focus efforts over the next several years on expanding the Silverdale Workhouse, creating a combined jail facility that could eventually house most of Hamilton County's inmates so the downtown jail can be closed. To that end, Coppinger said Tuesday that $20 million to $30 million of a planned $180 million bond issue will be allocated to develop Silverdale, effectively beginning an incremental process to consolidate county jailing operations at that location. The commission is also taking another first step in that transition process by considering a resolution to transfer administrative control and oversight of Silverdale from the mayor's office to the sheriff. 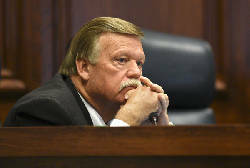 Coppinger said the move would allow Sheriff Jim Hammond to streamline and coordinate operations between the facilities. "The downtown jail has reached the end of its useful life," Coppinger said. "[This means Hammond] can move people out there immediately and in the future be able to use that site as the jail, as well." While Silverdale will be under Hammond's management, a continued four-year contract with CoreCivic, formerly Corrections Corp. of America, will allow it to continue handling operations there. Speaking for Public Financial Management Inc., the team that presented the jail study, Tom Morsch said proposals for construction of a new combined facility ranged from $90 million to $130 million. Realizing that sticker price wasn't feasible, the team focused on the alternative plan of incrementally developing Silverdale with CoreCivic to replace the downtown jail. "It's more expensive to put Band-Aids on [the downtown jail] than to just get it out," Morsch said. In addition to the resolution concerning administration of Silverdale, the commission must also consider continuing a contract with CoreCivic to operate Silverdale. Under that proposal, CoreCivic would be responsible for design, design approvals, financing, constructing and operating the expansion project at Silverdale after approval of each phase by the commission. "If we put more inmates [in Silverdale], we have to do new kitchens, new back offices, new entries, new processing facilities," Morsch said. "That number is a one-time cost versus a recurring cost." According to the study presented Wednesday, the county's combined cost for operating the downtown jail and Silverdale in the last fiscal year was $32.88 million. As future plans are developed, Morsch said officials will concentrate on finding efficient ways to expand the facility to save money in operating costs. Some of those plans have already been discussed, including the possibility of moving some court systems along with the inmates to the Silverdale area in order to reduce transportation costs. No such move is guaranteed and both public officials and members of the sheriff's office said any plans beyond the initial expansion are speculation, as are the prices of those plans. Whatever decisions are made, Hammond has made clear his opinion that relying on the downtown jail to satisfy future needs is untenable. At a news conference Tuesday, he said the jail was "[structurally] rotten to the core" and "cannot be rehabilitated." The timetable for a transition to relying entirely on a Silverdale facility is uncertain, but some changes, including an appreciable decrease in the total population of the downtown jail, should be apparent in the next five to seven years, according to G.A. Bennett, director of support services for the sheriff's office. While certified to hold only 505 inmates, the downtown jail's population typically currently fluctuates between 510 and 550 inmates. "It's going to be a long period of negotiations," Bennett said. "We need to learn that system out there [at Silverdale.]" 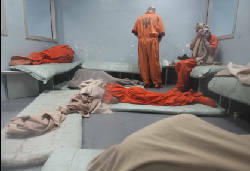 Overcrowding and other problems with the jail have been apparent for years and the Tennessee Corrections Institute found it failed to meet minimum state standards for six out of the past seven years. 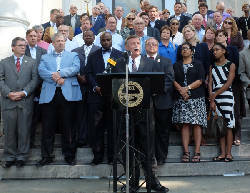 Hammond believes TCI will work with legislators and his office if they demonstrate progress on a real solution, something the institute sees in the Silverdale plan. "From the very beginning, we brought TCI in to make sure we were covering all the bells and whistles," Hammond said. For their part, at least some commissioners seemed open to incremental process on Wednesday. "I'm really liking what I'm hearing and I appreciate the mayor's sensitivity to the cost of this new facility," commissioner Tim Boyd said.